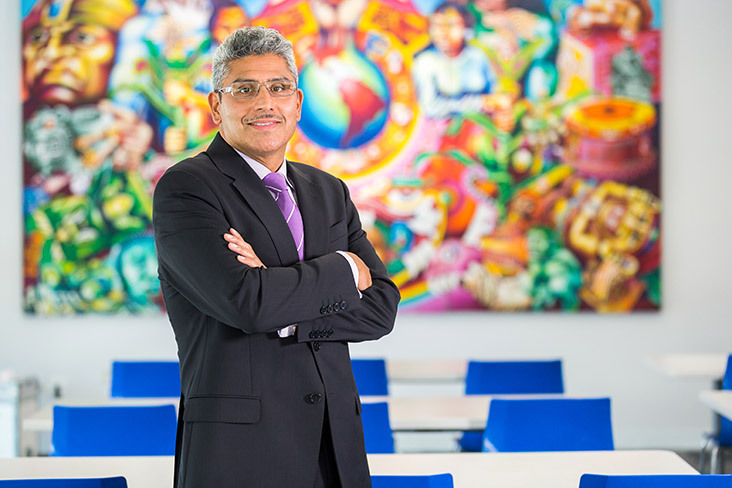 Juan Salgado (OPM 45, 2014), president and CEO of Instituto del Progreso Latino in Chicago, has led the organization since 2001, working with the largely Latino community on Chicago’s southwest side. Many of the adults in this neighborhood are stuck in menial jobs and face substantial barriers to better employment. Few have high school educations, and many don’t have the English-language skills needed to succeed in vocational programs or other job training. "In our work, you do the mission to achieve the mission," Salgado told the Chicago Tribune. "You need resources, and you need an audience of people who understand the work you're doing. At the end of the day, you want to make as big a dent in the world as you can. This (award) means more people are going to know about the dent you're making." According to the MacArthur Foundation, Salgado has “pioneered an education program that adapts the principles of contextualized learning to equip these workers with the skills that lead to higher-paying employment in manufacturing and health care, sectors with a growing demand for a diverse, multilingual workforce. Participants achieve three goals concurrently: complete an adult basic education, improve language abilities, and acquire job skills.” And in 2010, Salgado opened a charter school that offers counseling and support to students beyond graduation through the first two years of postsecondary education or training. Harvard University urban sociologist Matthew Desmond also was honored with a MacArthur grant. His work has explored the effects of eviction on the urban poor and has exposed how eviction is actually a cause of poverty rather than a symptom. Read more on Salgado and see a complete list of this year’s recipients, or watch this video profile from the MacArthur Foundation.